Straight after I had finished my breakfast I decided to go to Hedgecourt. This is the earliest time I’ve ever visited Hedgecourt, at 8:10 am. We didn’t see very much wildlife until water was in sight. When we arrived at the first bit of water, we saw about 30 Canada Geese fly in onto the lake but the foliage was so abundant so we did not have very good views. When we arrived at the end of the lake where we usually see all the Mallards, we could see that the water level had risen dramatically due to yesterday’s hurricane. The odd thing though, was that there were only 2 Mallards out on the water. The family of Mute Swans were there however, the cygnets are starting to look the same size as their parents! We also noticed that the Great Crested Grebes were closer to the shore than normal, possibly because we were the only people there. When we had seen all there was to see at that end of the lake, we decided to head back. When we arrived at the part of the lake where I saw the Canada Geese fly in, I decided to look at all of them through my binoculars again, just to make sure that they were all Canada Geese, not Barnacle Geese. As my binoculars were focusing on a Canada Goose on a boardwalk used by the yacht club, I spotted a fluorescent green-blue bird fly over its head. I knew it was a Kingfisher, a bird that I’ve only seen once before at Hedgecourt. It was very quick though, so I decided to carry on checking all the geese. When I was on my last goose, the aqua-marine bird flew past my binoculars again, but this time much closer. I swiftly took my binoculars off my eyes and saw the Kingfisher perched only 2 metres away on a branch sticking out from the water. In a split second it was gone, but that was enough to admire the great detail of the orange on its head. 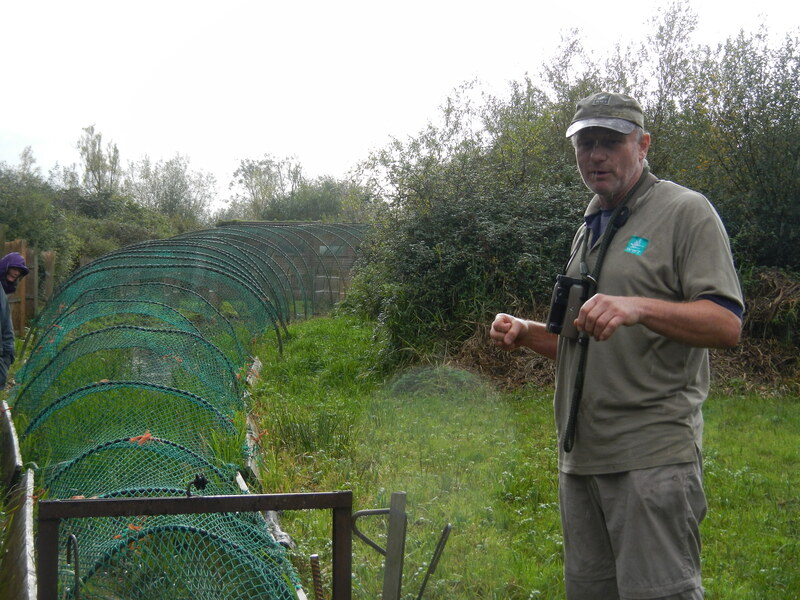 I was lucky enough to spend the weekend of the 26th and 27th October at Slimbridge Wildfowl and Wetland Trust. 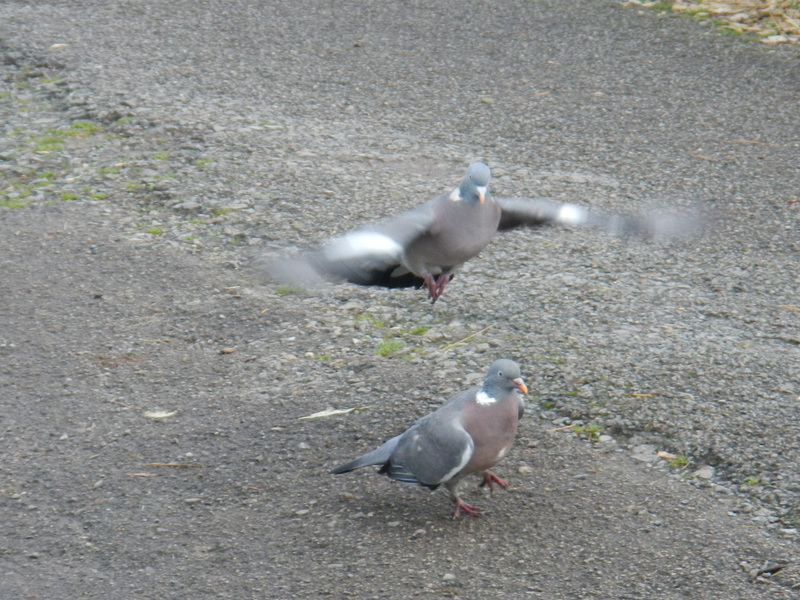 Even before I arrived at Slimbridge and I was still on the road, I saw some brilliant birds. I spotted 2 Red Kites soaring above the motorway and 2 Buzzards eating worms in a newly ploughed field. A magnificent male Common Pheasant was perched on a log in a roadside spinney and a couple of cormorants fished while perched on a buoy. 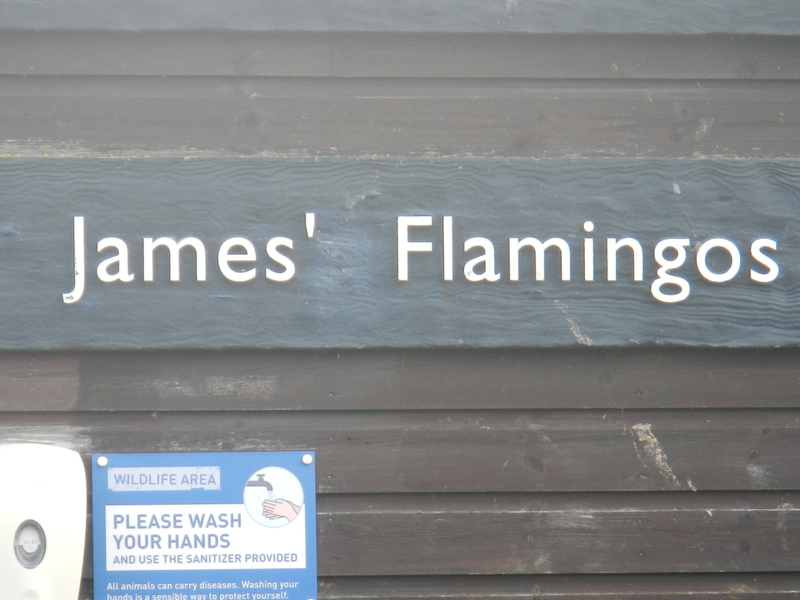 When we finally got to Slimbridge after a 2 hour 44 minute journey, I was extremely excited to get to the WWT centre. I didn’t expect it, but the first bird I saw there was one of the birds we came to see, a migratory Bewick’s Swan! I only glimpsed its head through a tiny window on my way to the café (it was nearly lunch), but the size and the yellow based beak was enough to make an identification. 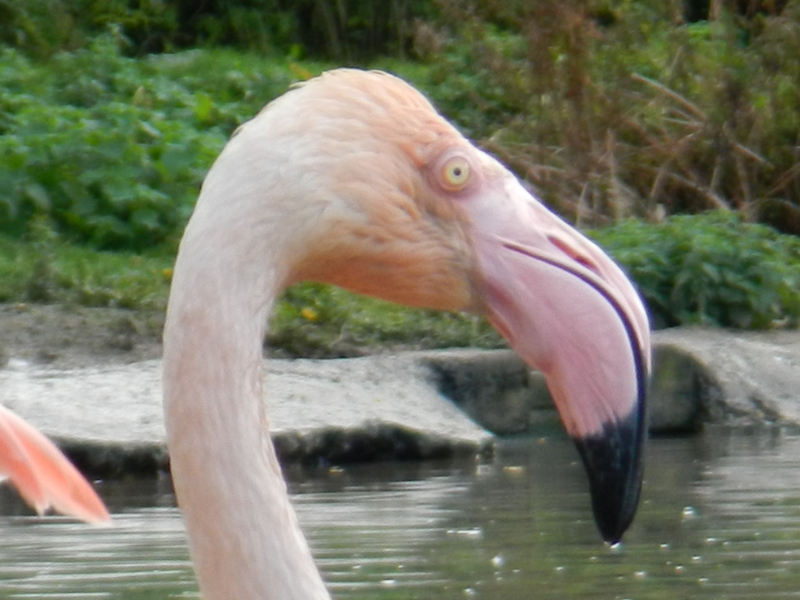 The view from the lunch room was excellent, it looked straight over the picturesque area for greater Flamingos. 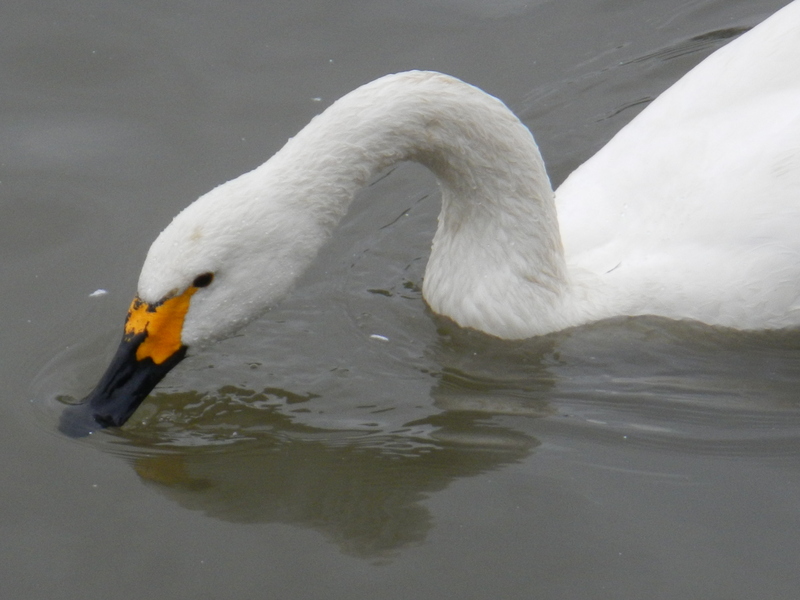 When I had finished my lunch, there was a chance to look and photograph the Bewick’s swans. I got a shock when I got outside, because there in front of me was an expanse of water (bisected by a walkway) of a couple of hundred Mute Swans, Bewick’s Swans, Black-headed gulls, Tufted Ducks, Shelduck, Coots, Moorhens and mallards. A bulk of that number were swans, but the commonest waterfowl was easily the tufted ducks. 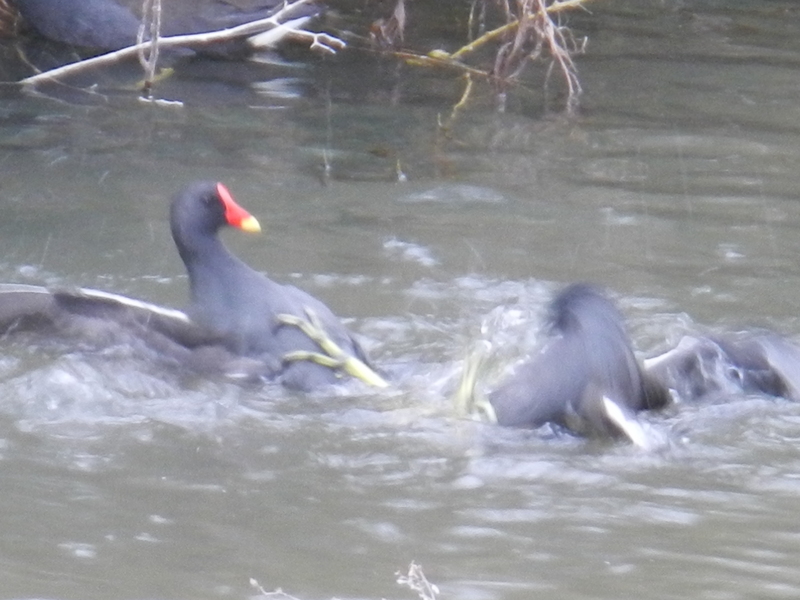 When we arrived at the opposite end of the waterfowl bonanza, we walked through a place called the conservation area, although we didn’t see more than mallards and moorhens. Walking along that path did however, make me think that some birds were already getting ready for the breeding season, as I noticed some fighting woodpigeons and mallards, one woodpigeon I think took a very tactical approach! 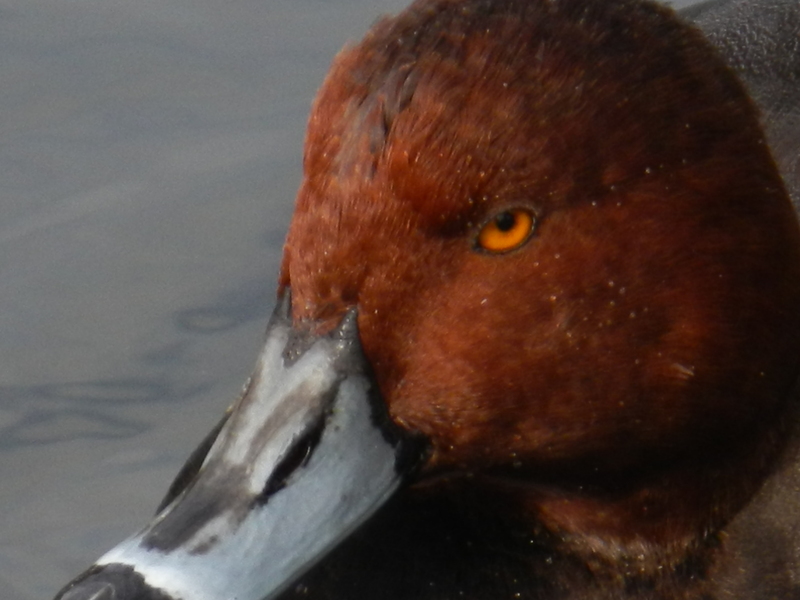 We then came to a lake that was filled with mostly captive foreign ducks, but I did get some close up shots of a Pochard. There are about a dozen fences made of reed (that doesn’t let any light through) that are 2 metres long slanting towards the end of the tunnel (the tunnel would get smaller and smaller until it was duck sized). A dog that looked like a fox would then weave in and out of the fences making the ducks go into the end of the tunnel. They would go into the tunnel because they think it is safer if they don’t let the predator out of sight, so they follow it. The man would then be waiting at the end of the tunnel with a crate to trap the ducks. This trap used to be for getting ducks to eat, but now it is used for ringing the ducks. He finished up with seven ducks, 2 in one crate, 5 in the other. 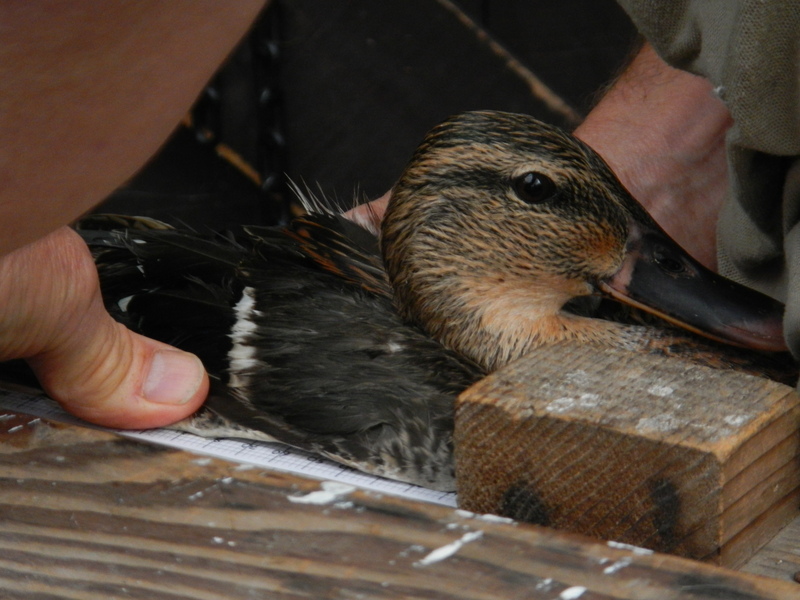 We were lucky because we were able to watch the ringing, measuring and releasing of the ducks! First he would check if the duck had a ring, if not he would ring it, if it did he would go straight onto measuring it to see how it was doing. First he would measure the wing, then the head. When he finished with a duck he would then release it and at the very end I was even allowed to release a duck! Today was going to be a full day at Slimbridge, but our trip was cut short due to the hurricane called St Jude that was forecast to hit our area at about midnight. That only left us from 9:30 to midday to see all the species we wanted to see. We decided to head straight to the hides and we were so quick that we were the first visitors out there! The first hide we went to was the kingfisher hide that (due to the tides) overlooked a flooded field and a bank that kingfishers nest in. In the field there was a wide variety of birds, such as Rook, Barnacle Geese, Canada Geese, Ruff, Lapwings, Pochard, Wigeon and a Cormorant that flew over. There was a medium sized flock of Starlings in the neighbouring trees, as were Jackdaws. In the lake in front of the kingfisher bank, there were mallards, Coots, Shovelers and one Gadwall. In the next hide there was roughly the same layout as the kingfisher hide, except there was no kingfisher nest bank. We saw some Teal dabbling in a tyre track that was filled with water and a family of mergansers were fishing at the back of the lake near to the estuary. The best bird there was clearly the Common Crane (also called the Eurasian Crane) that I spotted flying over the estuary. Only one of those cranes is actually wild, the others are ringed and part of a special breeding programme. The last hide we went to was the Zeiss hide, where the Bittern and the Baird’s Sandpiper were seen the other day. Close to that hide there is brilliant habitat for Bitterns, but all that we could see there today was a feeding Shoveler and a Moorhen. Further out however, we could see tonnes of ducks and waders with the help of a terrific telescope. Among the Wigeon, I could see some Black Tailed Godwits and Greenshank, and also my first views of Redshank, Dunlin, Golden Plover and my favourite, a Spotted Redshank! In the estuary we saw the Common Cranes again, feeding with a group of Great Black Backed Gulls. We also saw a Snipe fly overhead and a Peregrine Falcon keeping a look out on a fence post. One of the most interesting sights of they day though, was when a man drove behind all the waterfowl in a Quad bike and made them all fly up into the air! Before we knew it though it was time to leave, but I can say that it was a truly memorable experience!